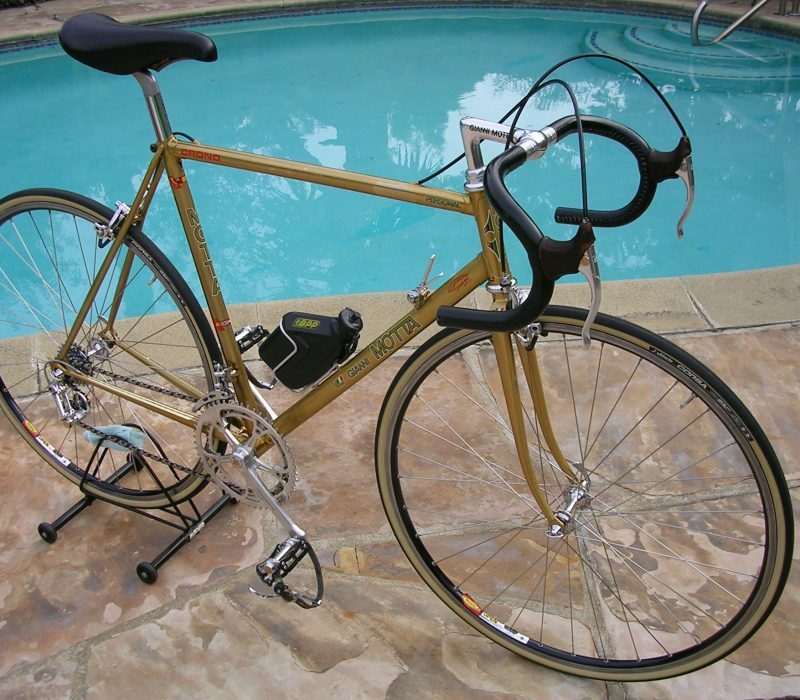 Bought in late 1983 from Bud’s Bike Shop, the famous southern California Cyclery Shack in Claremont, South East of Los Angeles. 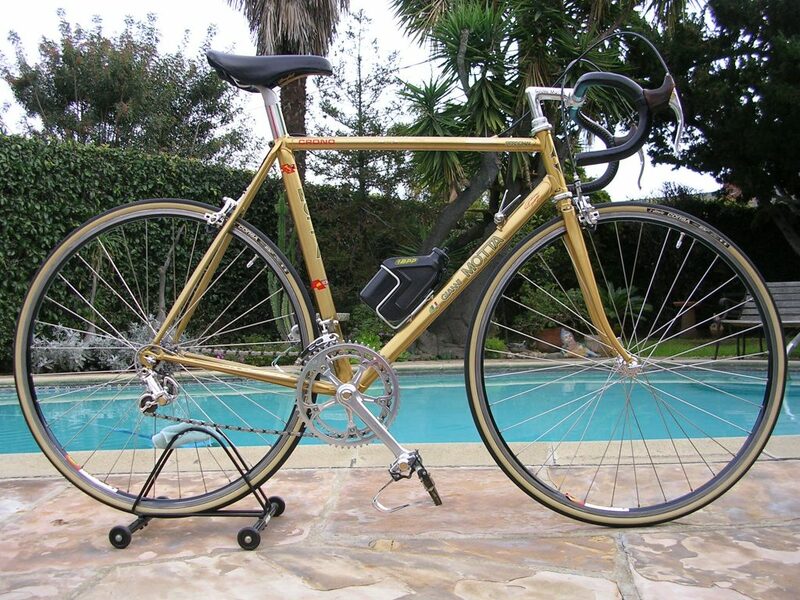 The owners of BUD’s brought this gold beauty back from the Las Vegas Bike Show in late 1983. 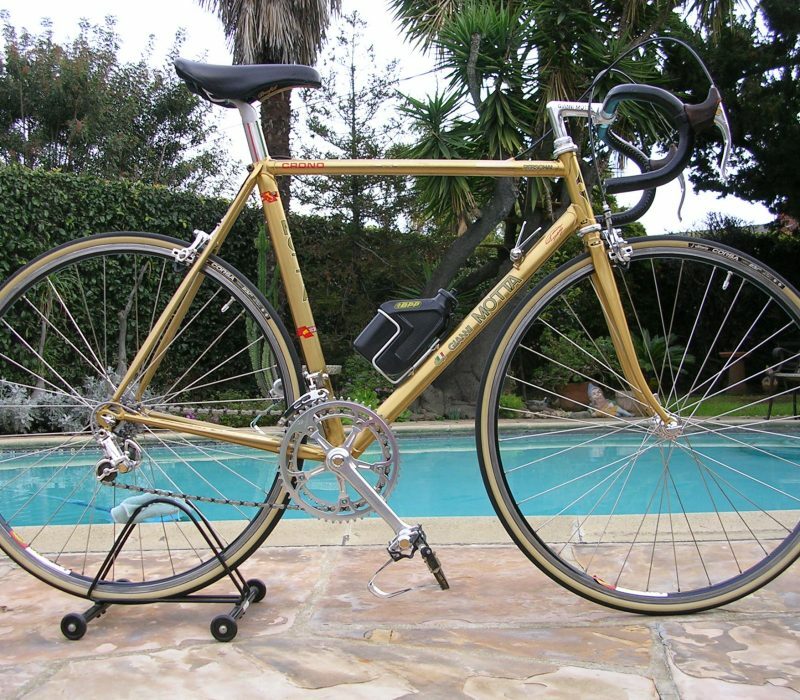 It was eventually soon sold to a customer of theirs, an avid rider whom bought the best of the best (though Bud’s is gone, he still buys the best and rides to this day). 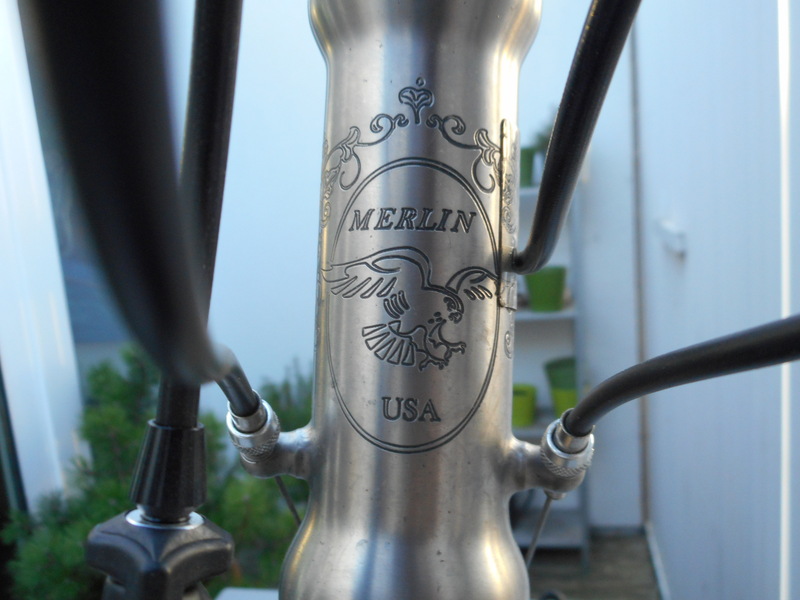 As new as it appears, he rode it hard back in the day. 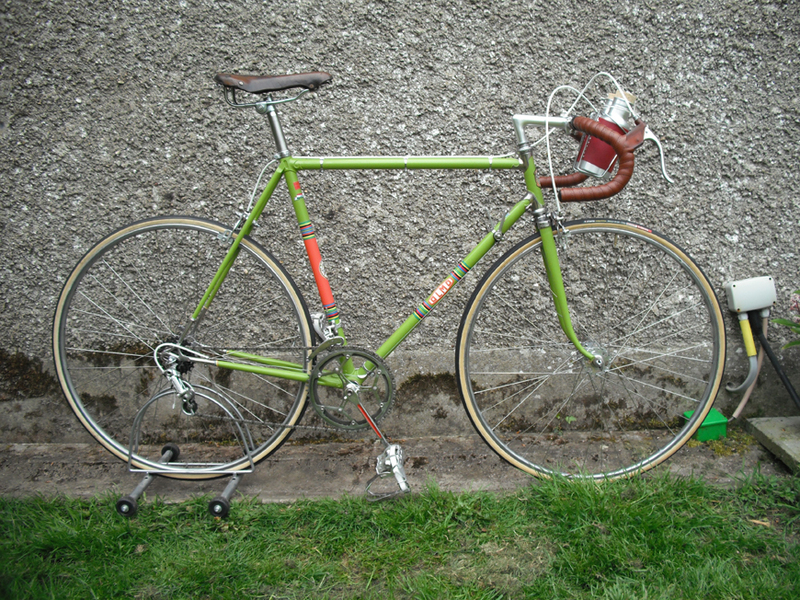 The bike has had a couple sets of wheels and a few saddles since new. 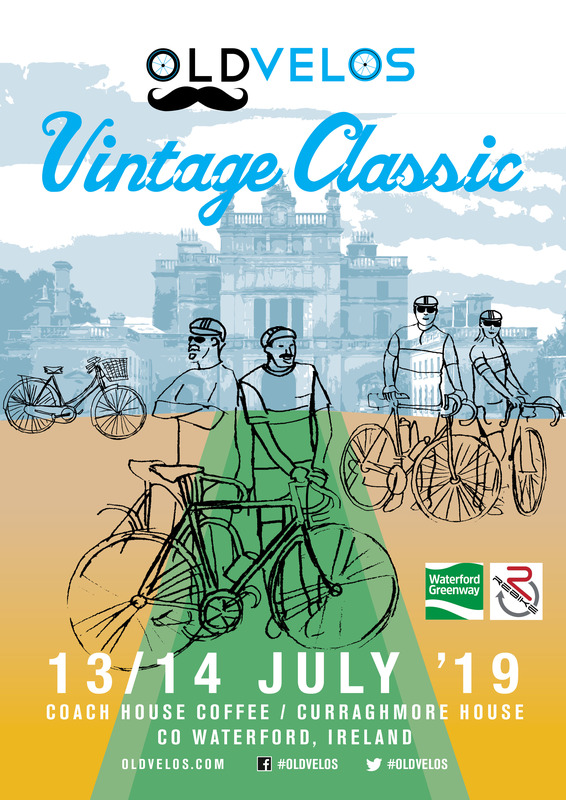 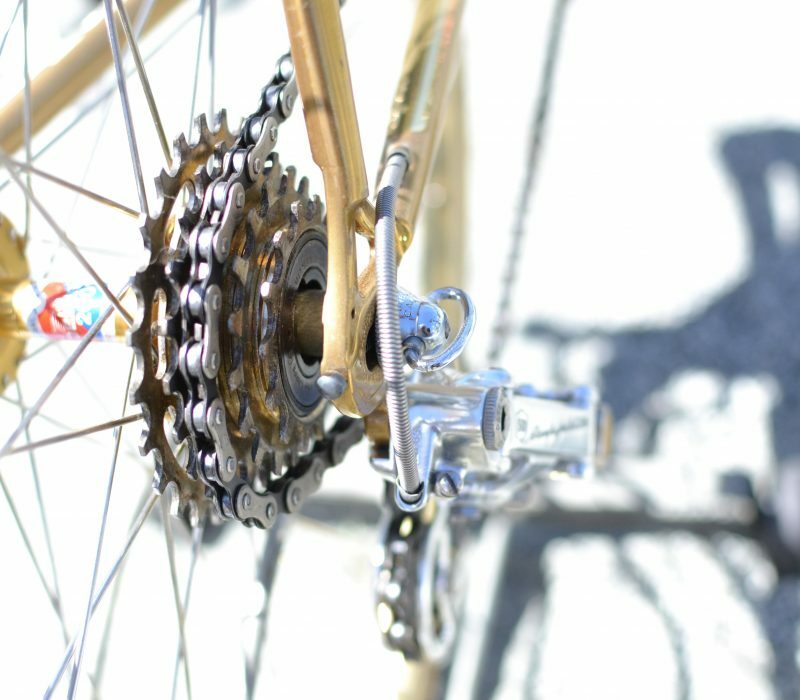 It was recently taken out of storage and passed on to it’s new owner who has restored it and it now has it’s original wheels for display at l’Eroica California. 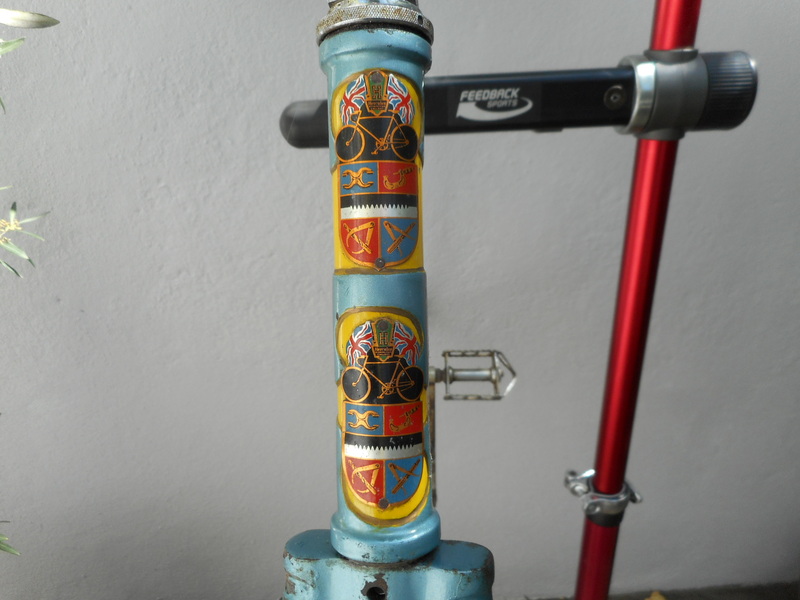 It gets out now and goes on fun rides once again. 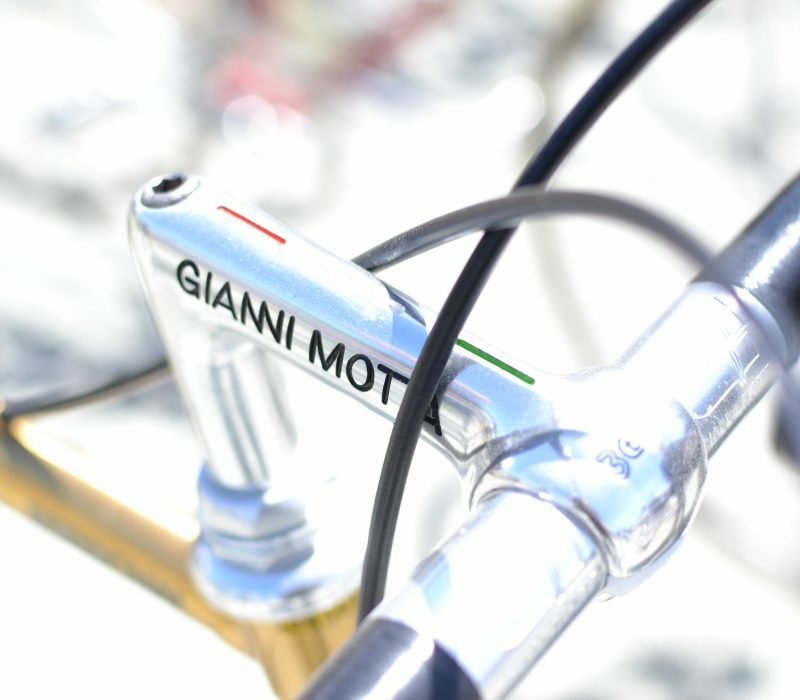 This particular special Motta was commissioned by Gianni Motta to commemorate the 50th Anniversary of Campagnolo with it’s groupset and pantographed Gianni Motta bars, stem and aero seatpost. 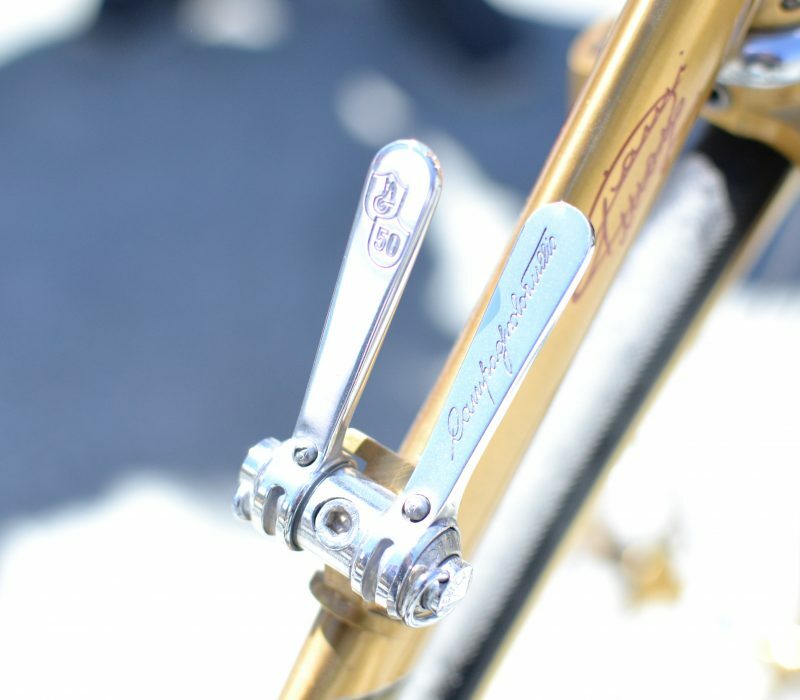 Only a handful were made, the frame was constructed from seldom seen Columbus Air Tubing. 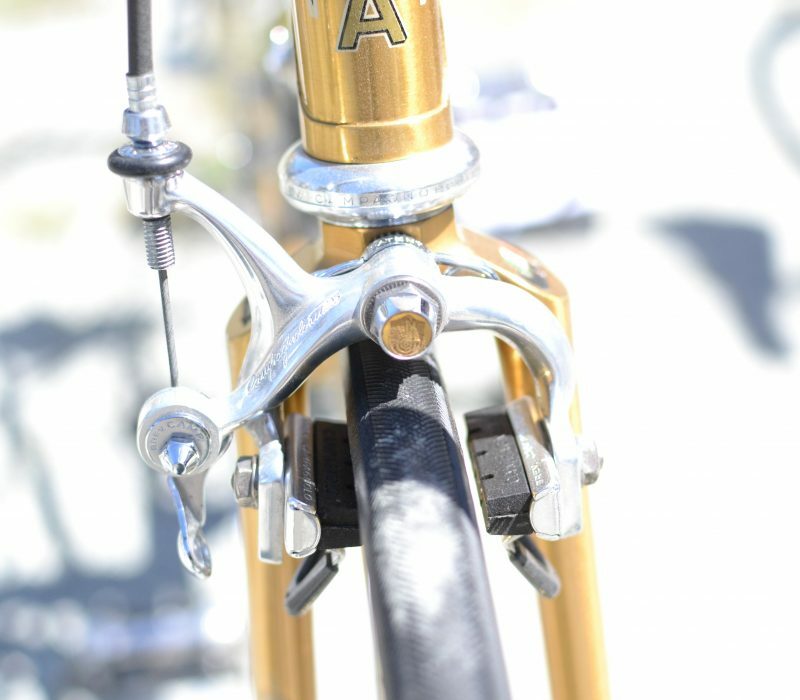 This aero shaped tubing has been finished with gold plating, a ‘Duratura elettroclisi’ process as the Italians called it. 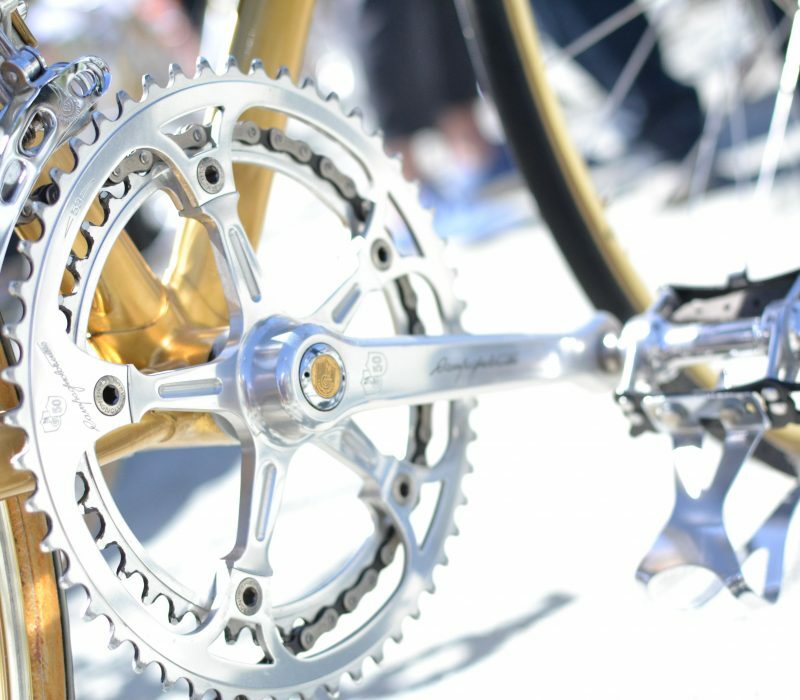 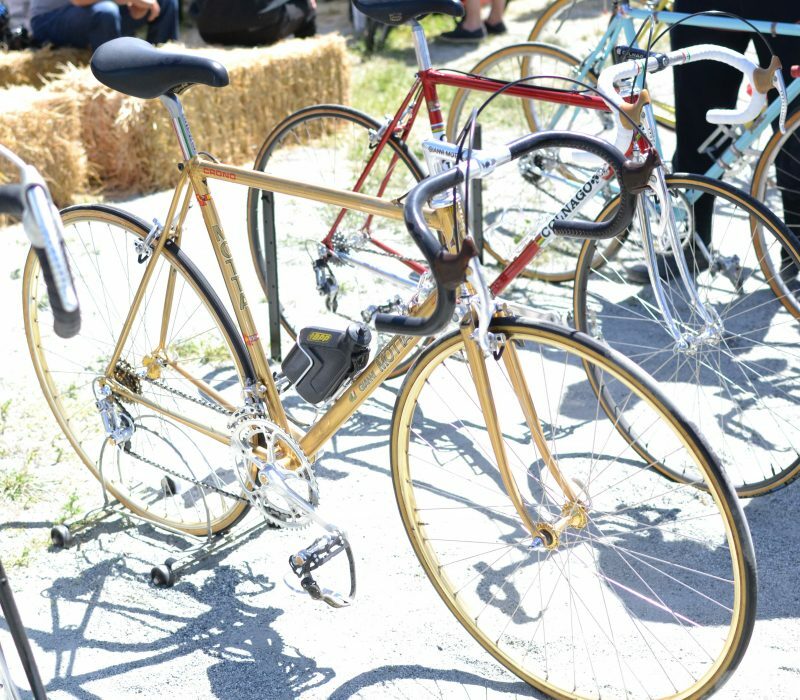 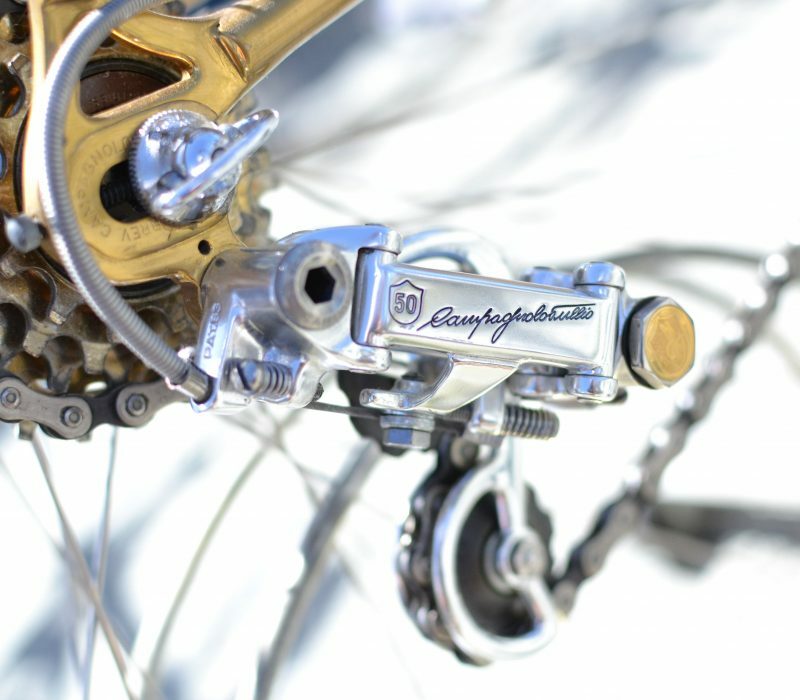 The bike was recently displayed at California L’Eroica in all its original glory, right down to the original tires. 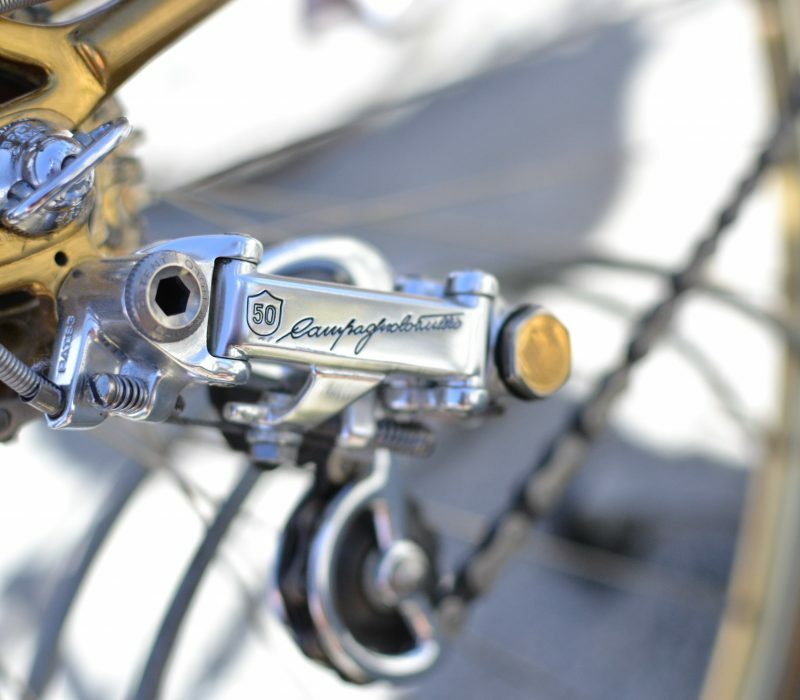 Many thanks to it’s owner Scott S. of Claremont, CA for sharing this magnificent and extremely rare bike with us.